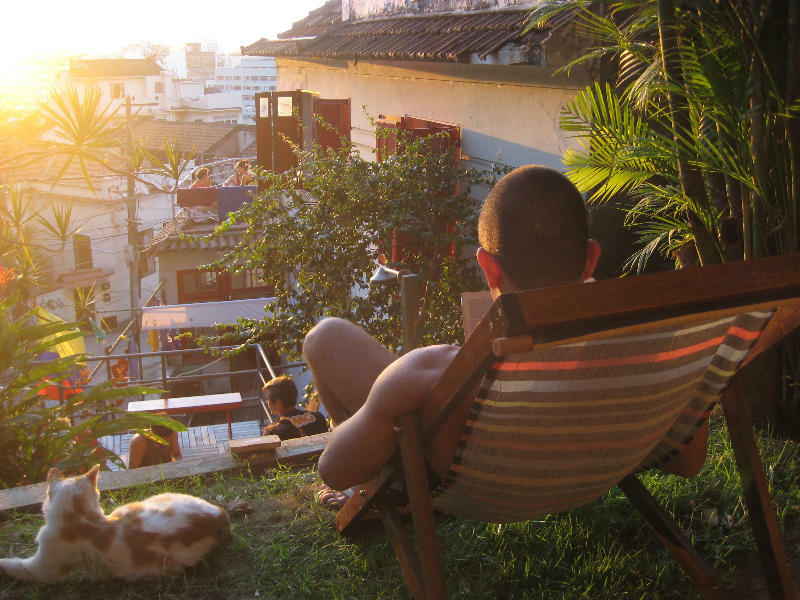 The Mambembes invite you to stay at the Mambembe Hostel which is strategically located in the cultural neighborhood of Santa Teresa. Within five minutes by foot the neighborhood´s cobblestones, quiet streets take you to the city´s historic center and to the famous bohemian neighborhood Lapa. Bus and metro stops are as well a mere five minute walk away which guarantees a easy and fast access to Rio´s picturesque beaches. We present a hostel created by people who got together because of their passion to travel and hunger to meet new cultures. We would like to share our experiences and invite you to a hostel built by backpackers for backpackers. Our goal is to show you why Rio de Janeiro is so special for us. A place where music, carnival, fun and joy are often present in the most unexpected places and moments. We want to treat people like we would like to be treated and offer our help in whatever is necessary. We are the owners, as well as the staff working every day in order to make your stay as pleasant as possible. Our doors are open to receive you! Private rooms as well as shared dorms, with custom made mattresses and quality sheets for better comfort. The maximum capacity is 35 guests in rooms of 9 or 4 people or private rooms. The common areas are: living room with access to the full cable tv program, our personal DVD collection, international sports channels such as ESPN; computer room with PCs at your disposal, free WiFi, book exchange; movie room with a projector for periodical cinema sessions; shared kitchen. We also have an outside area with hammock, BBQ and garden where you can relax and enjoy the view in the middle of the city.